Journeying Between the Worlds shares ancient American shamanic teachings in a way that is easily understood by people from any culture. This book is filled with practices that will open the door to dynamic, ever evolving relationships with the great spirit, your sacred self, and your ancestors. With simple exercises that help you build your skills and knowledge, this powerful guide teaches lessons based on Native American spiritual concepts, including shamanic journeying, the medicine wheel, dreams and visions, symbols, power animals, the elements, shamanic tools, the three realms, and much more. 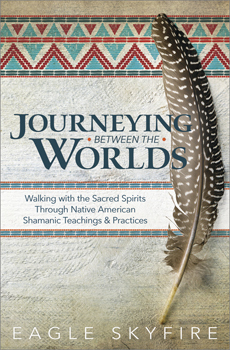 Written for beginner and intermediate shamanic practitioners, Journeying Between the Worlds shows you how to use shamanism to make sacred connections with the natural world, divine beings, and your own soul.